What are your thoughts on bumpers on cribs? Do you use them? Ashley – After much thought, “put on, take off” moments, talking with other Mamas, and fights with my own thoughts. I decided to use them. C.A.P moved around so much when he was little that the one night I did take them off I heard him bang his head off the crib all night. Despite lots of comments about them I decided to go with my gut and use them for my little one. Michaela – We were given a beautiful hand-me-down Pottery Barn Kid’s bedding set from a cousin. She was on bedrest with a 18 month old running around when it was sent. She enclosed a note letting me know there was a stain on the bumper and she was sorry she hadn’t dry cleaned it. I was terribly thankful to have the set. I instantly threw on the sheet and crib skirt. Then, I looked at the stain and figured I should get it dry cleaned before I put the bumpers on. The bumpers went into the closet and that’s where they’ve been since last April. We’ve never really needed them. I know there’s all kinds of thoughts and recommendations about using and not using them. I never come in to find my daughter’s arms or legs stuck. She doesn’t wake up with unexplained bruise or anything. So, we’ve left them off. I also love my crib and don’t want to hide any of it with bumpers! I did see a post on Apartment Therapy a while back about turn bumpers into teething guards. I think we might have a beaver on our hands. She chewed on one of the rails a couple of weeks ago but hasn’t done it since. If it starts back up, I’ll be making those suckers into a teething guard (after a trip to the dry cleaner!). Pamela – I have used them with my 1st 3 kids because thats what I was told, you have to have a bumper on the crib plus the crib blanket. Once I had my 4th I started researching the different effects the bumper pad could do to an infant and since then I use a breathable bumper, I have used those with my 2 last babies, and still have the breathable bumper on my 2 yr olds crib. I just think there more practicable than the bulky bumper pad. It can still match your decor, they come in all colors and sizes for different cribs. Meredith – I did use a crib bumper when Jackson was younger (1-7 months or so), but once we lowered the mattress the bumper became a sort of stepping stool for Jackson to pull himself up higher. Now his crib is bumper free! I know a lot of parents are concerned about a bumper and suffocation, which is definitely a scary thought. I did what I felt comfortable with…it varies from situation to situation. My advice is to always do what is best for your child and what makes you feel most comfortable! Jill – With my first child I was adamant that we had bumper pads on the crib. I wanted them there for my child’s safety. With my second child we didn’t have the money to get a full crib bedding set. We didn’t even have the bumper pads at first. He was so little so I didn’t worry about them. After a few months we went and got some. I honestly feel they were useless. He got to the point he would stand on them and they would get pushed down and squished between the bed and the frame. I don’t think they really even helped at all. Liz S – I used a bumper for all 3 of my kids and never had any problems. I’ve heard they are thinking of banning them which I think is silly. I think as consumers we need to take responsibility for the things we buy. In this case – tighten the ties as needed to make sure the bumper stays tight up against the rails, checking on your baby periodically when they sleep, and if you see that they nuzzle too tight to the bumper to cause concern then remove it. Tricia – Yes, I use the bumpers on our crib. Right now my 22 month old is in the crib and the bumper helps keep all of her pacifers from falling onto the floor at night! Angela – I didn’t use the bumper on the crib until my kids were way older, like maybe around 6 months. A close friend of mine had a daughter that passed away at 4 months old, during her nap. It was SIDS and although it wasn’t necessarily from a bumper or blanket, it has made me very cautious. Liz B – It’s funny this is asked because I was making a list of “needs” and “not so much” baby things and a bumper made the “not so much.” They’re cute, they usually come with your bedding set. But both my girls were tummy sleepers, so the bedding was stripped to a minimum at about 6 weeks until they rolled consistently (and then it was a breathable one for #2 in the interest of safety). Being that we broke the ‘back to sleep’ rule with our kids, far be it from me to tell another parent how to sleep. And it was a TOTAL sleep thing. The difference between 3 and 5 hours at a time is golden – am I right!! Jelli – I used to use bumpers, but ours was a hand-me-down that was pretty worn out and folded over itself. Read: pretty useless. We took it out. Just last night I heard shrieking from the crib, and ran in to find my baby with both legs inserted through the bars on the crib, twisting herself around trying to get them out to no avail. I have the feeling we’ll be going back to bumpers as soon as we go out to buy new sturdy ones. Natalia – I like them and use them! If I don’t it seems like my kids legs or arms are always getting caught in the bars! Kelley – We used crib bumpers for both of our kids.. but both kids also slept in a bassinet by our bed until they were rolling over. I didnt start hearing that you shouldnt use a bumper until Avery was 6 months old. It was news to me, but they suggested using those breathable bumpers. I agree that its every parents choice though. 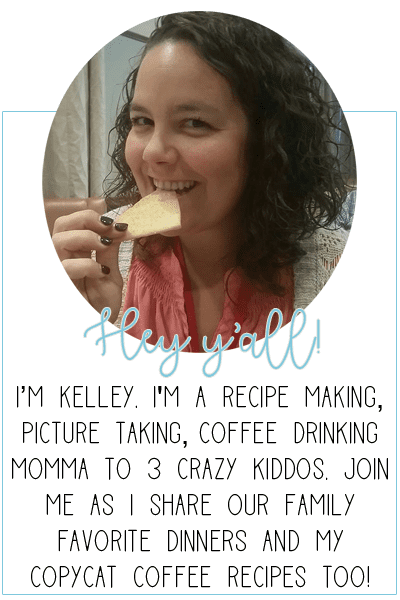 Previous Post: « Labor of Love – Kelly’s Story! what a good question topic!! Crib bumpers, ok. I kept mine in. 1)It kept the binky IN the crib (LOL). 2)They didn't crash into the crib sides in the middle of the night causing them to wake up so sad and hurt. I understand the SIDS scare. But, that is what the nurses/peds do. They SCARE you. I love and respect our peds so much, but I was terrified with my first. Then, after looking MUCH deeper into it. Um, yeah. If they are lifting their heads, they KNOW how to move it so they can breath. That is a natural instinct. Obviously if they are not showing this development, then do what you need to do to get this taken care of whether it is major hours put in at the doc or using a breathable bumper. That's my two cents… Use common sense. If you think your LO is fine and developing on track, then do what YOU feel is right. YOU are the parent. YOU are the one who knows what is best for YOUR child. I feel that traditional crib bumpers are dangerous but our babies need some sort of protection from the hard crib bars. I use the wonder bumpers and could not be happier!! I highly recommend them. I did use bumpers for my first 2 kids. My third daughter we switched to the breathable bumper. The new breathable crib bumpers are the only way to go. I would not keep my infant in a crib without any bumpers at all. The infants limbs may get caught or injury might occur. I am going to purchase a Wonder Bumper for my son, they are sold by the company Go Mama Go and are the best on the market I have found so far.